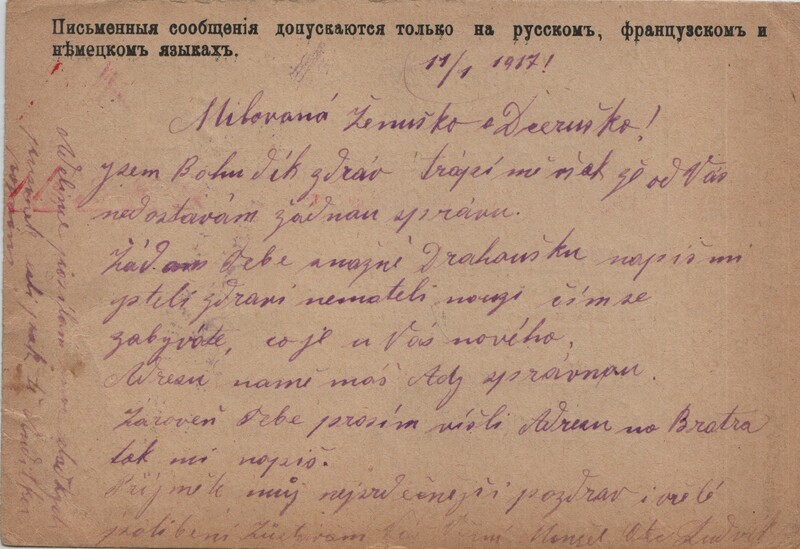 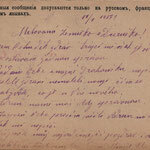 This card is from a Czech prisoner to his wife and daughter who live in Brno in Moravia. 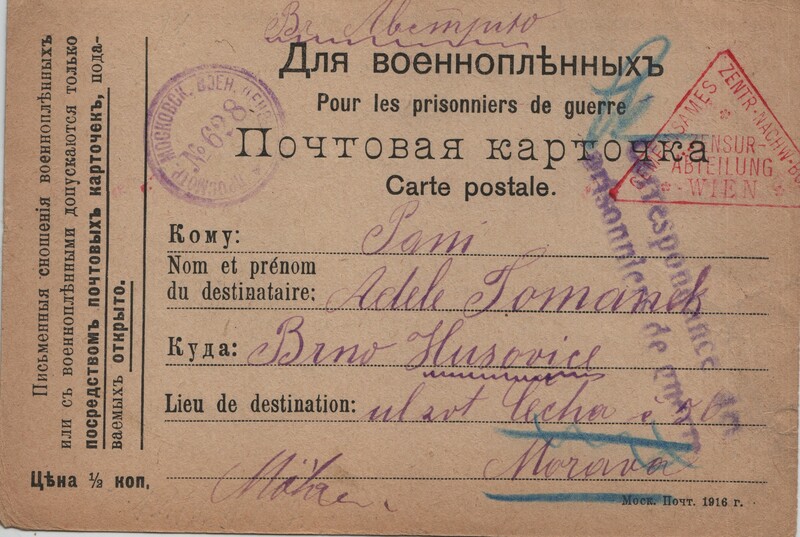 The card states that all correspondence must be in only Russian, German or French and the envelope must remain open (for censorship). 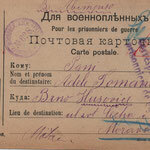 The poor Czech prisoner only knows Czech.